An architect in Columbus, OH was planning an addition to his home. The veneer would be fiber cement board panels. He was familiar with the increasing incidence of moisture issues in exterior walls and wanted to ensure that his wall system had a way to drain and dry. After some product research, he decided to use Keene’s Driwall Rainscreen 020-1 behind the siding. 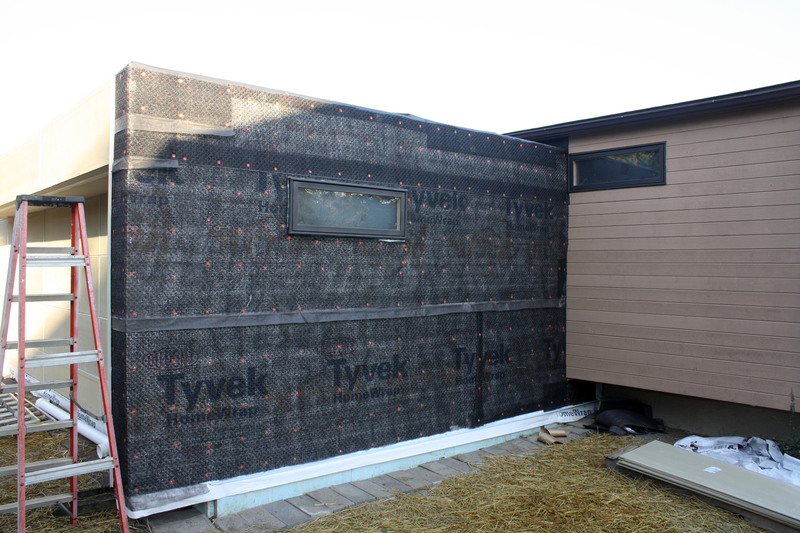 The drainage mat creates a ¼-inch airspace between the sheathing and the siding veneer to prevent moisture build-up by providing a drainage plane and open airspace for ventilation within the wall. His next home project was to remove the cedar shingle siding from his existing structure and replace it with fiber cement board plank siding. Again, moisture issues were a concern and his solution was the same. He installed Keene’s Driwall Rainscreen 020-1 over his weather resistant barrier. The contractor raised concern about possible waviness when installing the plank siding over the rainscreen. The panels that were installed on the addition had a larger surface area and were not lapped, as the planks would be. However, the distribution of the pressure points throughout the entangled net mat prevents any compression, resulting in a uniform, flat surface for the siding to be installed on top of. Both projects were successfully completed with great aesthetic results, as well as optimal performance in terms of moisture management within the wall system. Driwall Rainscreen is the right way to ensure that your fiber cement siding stays dry so your walls last a lifetime.